MUMBAI (Metro Rail News): The Mumbai Metro Rail Corporation Limited (MMRCL) completing 45% of tunnelling works and 9 out of 32 tunnel breakthroughs till March-end. 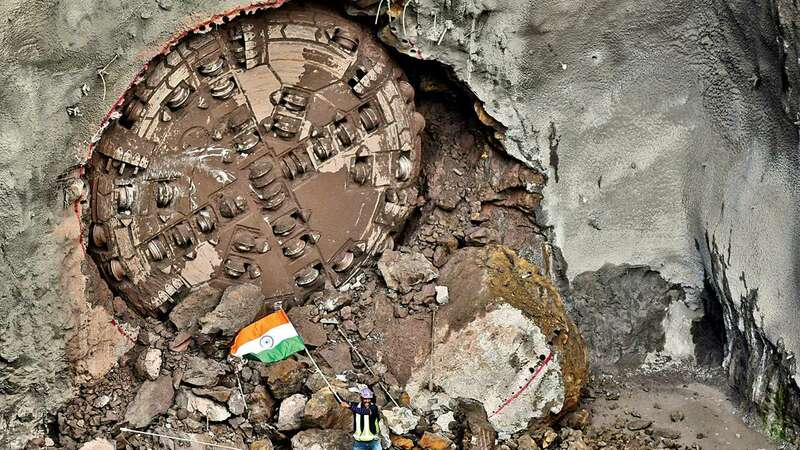 The work on city’s fully underground Metro line 3 (Colaba-Bandra-SEEPZ), is speeding through its underbelly with a breakthrough is when a tunnel boring machine (TBM) manages to bore through the designated route, from one end to the other. The 33.5 km long Mumbai Metro line 3 built at a cost of ₹23,136 crore and expected to ease traveling woes for Mumbaiites by connecting the island city to the western suburbs. Phase one of the corridor from Aarey to Bandra-Kurla Complex (BKC) is likely to be operational by 2021. The second phase is from BKC to Cuffe Parade. According to the report, 23.69km of the 52-km tunnelling work for the Metro line 3 corridor has been completed as of March-end. The MMRCL has deployed 17 tunnel boring machines in the city for the job, which have so far excavated 31 lakh metric tonnes of earth. The tunnelling work for Mumbai Metro line 3 corridor has been divided into seven packages to complete the sections simultaneously and work has started on all of them. As per the report, package 5 between Dharavi and Agripada 4,744m of the 7,992m tunnelling has been completed so far, while in package 4 Worli to Dharavi station 6,267m of 10,960m has been finished. In March 2019, the TBM Godavari-1 covered a distance of 2.9kms at the domestic airport Metro station. The breakthrough was achieved in 455 days. we have earlier reported that the Mumbai Metro line 3 will be the second corridor in the country to have tunnels under a riverbed, with two tunnels of 1.18km long to be built 12.5m below the Mithi riverbed.